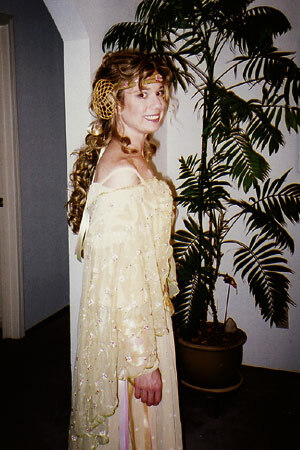 This costume was created before resources such as high resolution images and the DVD were available (not to mention the Dressing A Galaxy book). 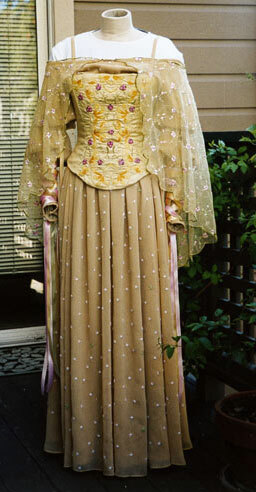 I continued to do research on this costume well after completing it in 2003, most of which is documented at TFN's Costuming and Props forum. 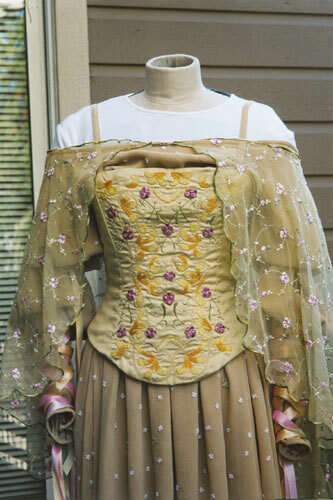 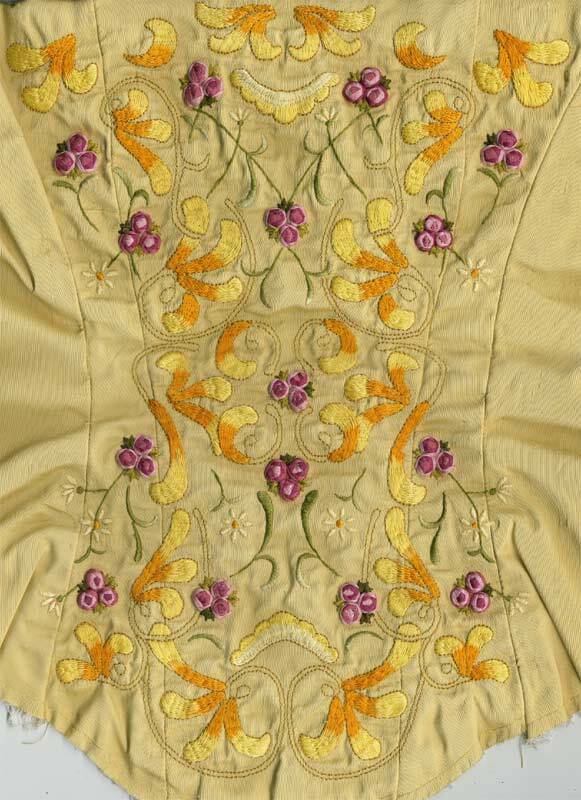 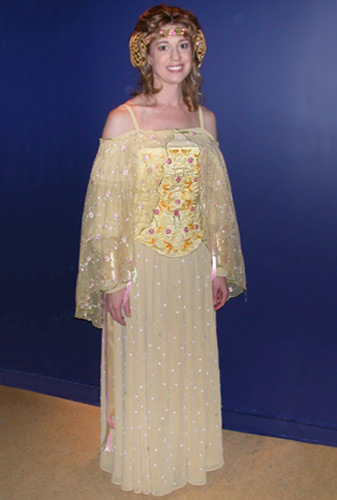 After seeing this costume in person at FIDM in 2005 I now have plans to make a more accurate upgrade of this costume.